Rental is for up to (4) hours. Full-Day bookings available! We've ALL Seen the TV Show!!! Now let's bring it to your backyard or next Event!!! Can YOU and YOUR Team make it across? 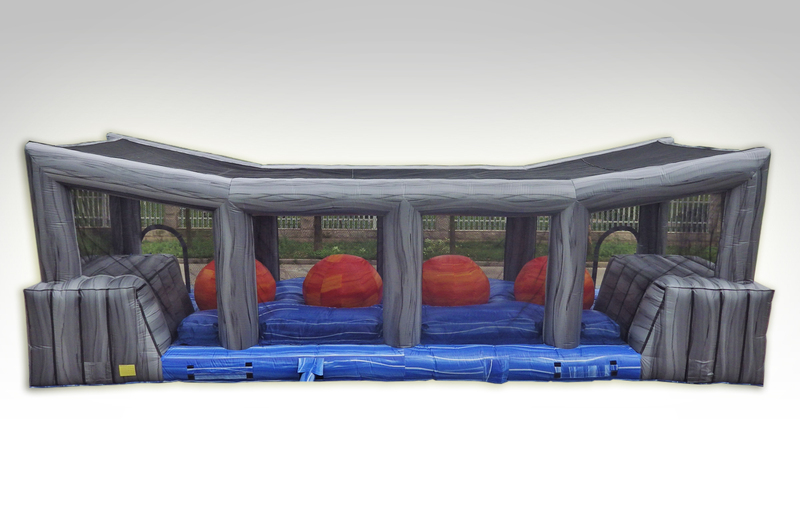 Manufactured by the Insanely talented crew at EZ Inflatables. Bring this puppy to YOUR next Party or Organizational Event. We will bring it, set it up, and provide an Event Specialist to run it for you!!! CALL US TODAY TO BOOK!!! Ages: 5 years old and up!! !